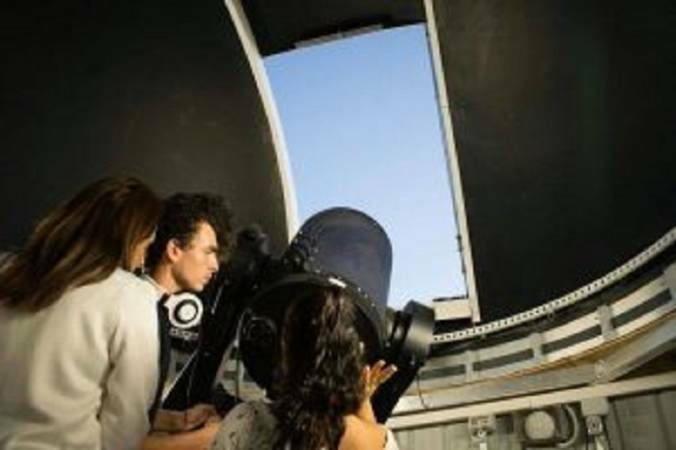 Following two years of planning, the first observatory in Israel’s inner-central region (“Hashfelah”) was recently erected on the roof of Sci Tech Rehovot school . 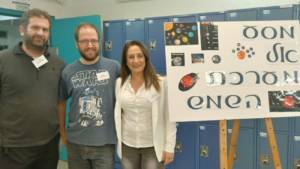 The observatory is run by Ms. Dganit Kovshi, along with the instructors Aviv and Nir. The innovative observatory serves the school’s students, as well as the general public. During an event called Sparks of Science, sixth-grade students from across the city were invited to visit and tour the place. The observatory’s inauguration is part of the development of the Aerospace Programme, which will soon be available as a major within the school’s Science & Engineering curriculum, and will enable students to specialize in aeronautics as an extended major in their final exams. This school year, an extra-curricular course in astronomy has been opened for junior high students. They are learning about the various objects in space, our solar system, the universe, planets and their motion, satellites, and so on. They also learn about new software tools and applications that can help you in getting to know the night’s sky. The ninth-graders who participate in this course are performing research work on the topic of astronomy.